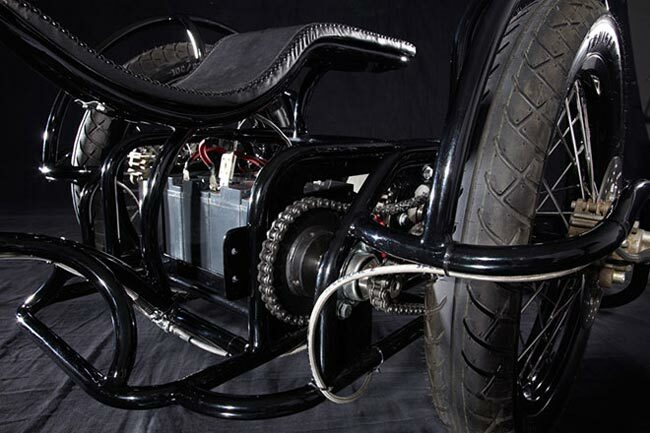 Josh Hadar is a New York artists who specializes in making some amazing metal bicycles, his latest creation is a solar powered electric three wheeler bicycle. 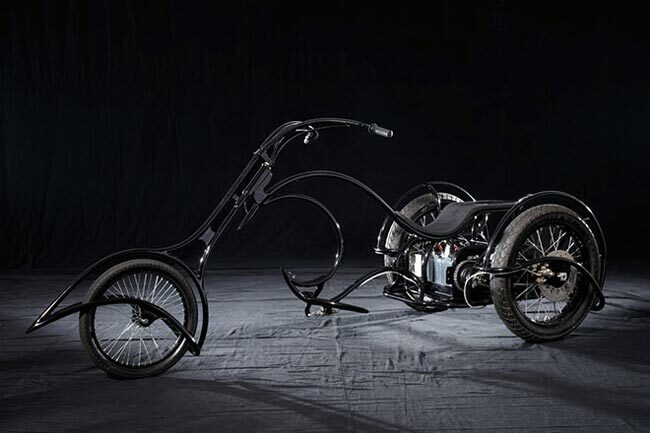 As you can see from the photos the three wheeler bicycle looks amazing, and it has a 20 inch wheel at the front and two 26 inch wheels at the rear, and measures 8.4 feet long, which is about the same length as a Smart car. It is powered by a 4.8 kilowatt electric motor, and has four rechargeable 12 volt lead acid batteries, which can be recharged by the six solar panels that are located on top of his studio. 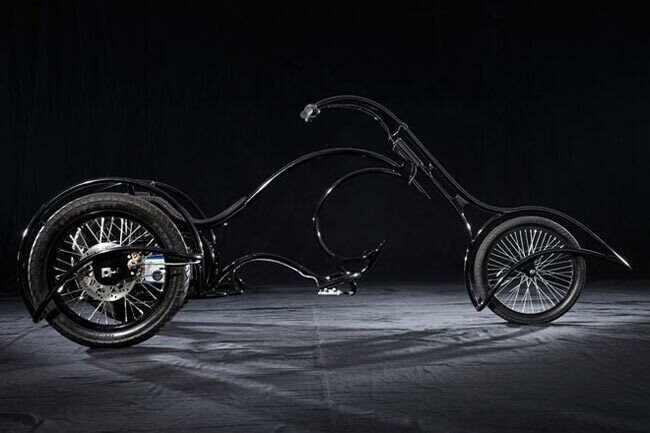 head on over to Josh Hadar’s website for more dteails on this amazing bicyle and also make sure you check out some of his other cool creations.